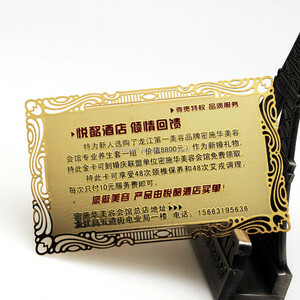 As a professional manufacturer we have more than ten years experience in the production of metal gifts . 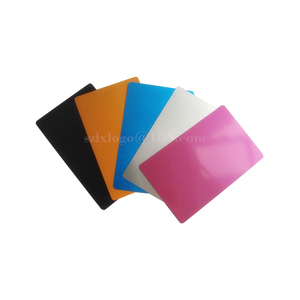 We can provide free design, free samples and accept OEM and ODM requests. Strong production capacity, Strict quality requirements. 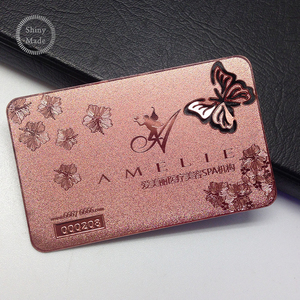 2017 Hot sell Rose gold metal card Product Details Product Information Material Steel,Zinc alloy, Copper, Iron, Aluminum, etc Size General 85*54mm, 80*50mm, 77*44mm /any size you want Thickness 0.3mm, 0.35mm, 0.5mm. 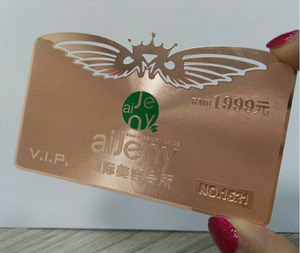 0.8mm MOQ 100pcs Process Craft Etch/Engrave/Cut out Plate gold/silver color Silk screen print /Signature panel Personal data/Printing Embossed number/letter Packaging 100pcs in one box/as per your requirement Certificate ISO7810/7811/7816, ISO/IEC 14443 Payment term 100% deposit for small order & 50% deposit for bulk order Application gift cards/advertisement/VIP card,memorial card/Golden card/metal member card/card making,etc. Why choose us : HIGH RESOLUTION full color printing - from Heidelberg speed master Eco friendly material-30mil solid PVC, same material as credit cards Best price-Competitive price guaranteed, for wholesales and retail Free design-no setup fee or other hidden cost Easy Payment- Western Union /Bank Transfer/PAYPAL, ESCROW Fast Express shipping any way - DHL /Fedex /UPS /TNT/Aramax 24Hours Quickly Feedback Guangzhou colorful smart card Co.,Ltd. We provide services of designing and manufacturingaccording to customer requirements. 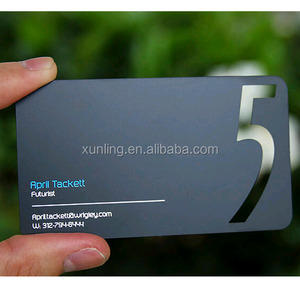 We also have a wide variety of pre-designed card available for your convenience. Turnaround time varies depending on options and quantities of orders. Sample cost: Depend on sample type or artwork and size. There will be no re-orders within 3 years and the mold will not be saved. 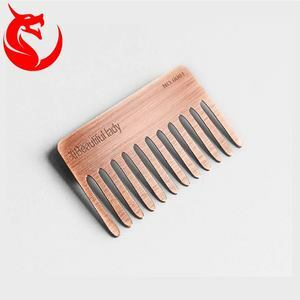 If there is a sample, wait for the customer's sample before production. 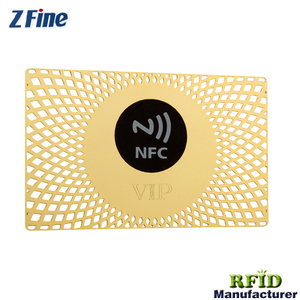 Alibaba.com offers 28,116 gold metal card products. About 27% of these are metal crafts, 4% are plastic cards, and 1% are sculptures. 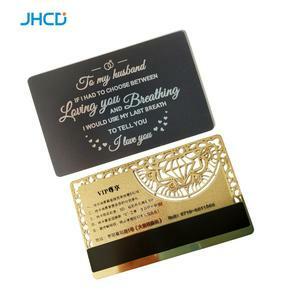 A wide variety of gold metal card options are available to you, such as business gift, souvenir, and art & collectible. You can also choose from antique imitation, folk art, and religious. As well as from carved, painted. And whether gold metal card is china, europe, or africa. 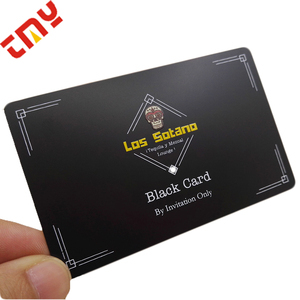 There are 28,116 gold metal card suppliers, mainly located in Asia. The top supplying country is China (Mainland), which supply 100% of gold metal card respectively. 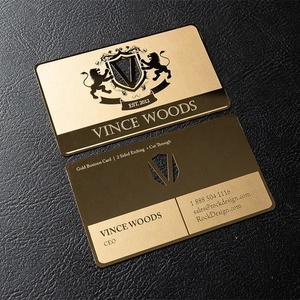 Gold metal card products are most popular in North America, Western Europe, and Mid East. You can ensure product safety by selecting from certified suppliers, including 4,542 with ISO9001, 2,666 with Other, and 551 with ISO14001 certification.